First, let me say that I didn’t make this up, even if I’m the genius that I sometimes think I am. 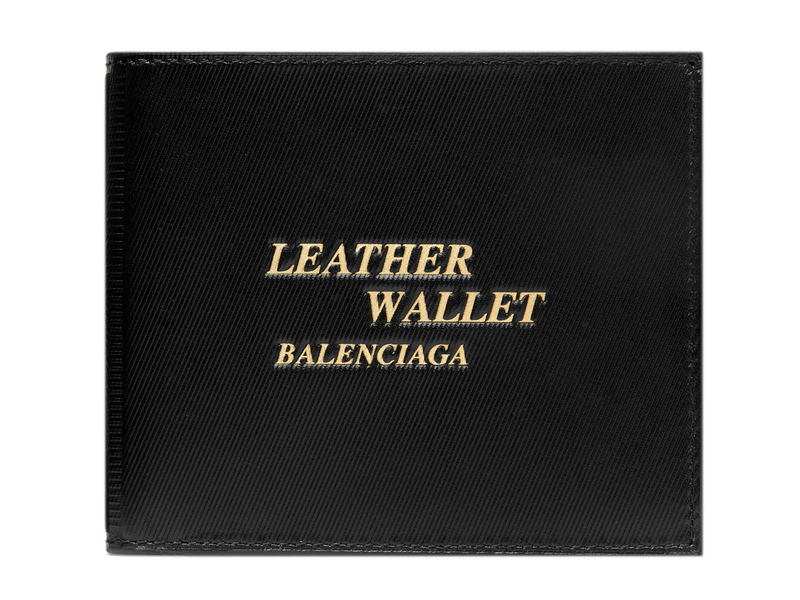 From Balenciaga comes this printed leather wallet that besides sporting a rather large logo of the French brand (see how I omitted the word ‘luxury’, comes with the words Leather Wallet emblazoned across it in an even larger font (GBP275 and available now via Mr Porter). Maybe it is just Demma’s way of calling a spade a spade (and being quite literal about it), maybe they are afraid people won’t actually know what this strange piece of leather is actually used for, or maybe this is their way of trying to be more like Off-White. And less like the elegant and glorious luxury house it once was.